Music Director Brian Seemann of Washington, D.C., has extensive musical expertise, with special focus on handbells. He began ringing in grade school with the youth handbell choir at Whitehouse United Methodist Church in Readington, New Jersey. He moved to Boston to study composition at The Boston Conservatory before returning to Philadelphia and majoring in urban planning at Temple University. 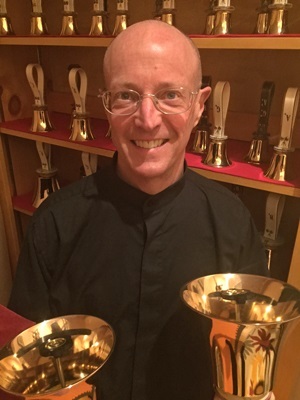 Currently Brian is also the Handbell Director at Our Saviors Way Lutheran Church in Ashbury, VA, and an assistant handbell instructor at The Potomac School, McLean, VA. He is the Music Director for Virginia Bronze and the New England Ringers, and from 2013 to 2017 was the Artistic Director and Conductor of the Philadelphia Handbell Ensemble. In his time away from handbells, Brian is heavily involved in other aspects of performing arts. He spent four summers marching with the Jersey Surf and Boston Crusaders Drum and Bugle Corps, and is currently on the staff for the McLean High School Marching Band, VA.
Liz Fafard Almstrom of Oxford, MA has been ringing at her church, First Congregational Church of Oxford, for over six years. Liz has been involved with music for most of her life having played the clarinet for fifteen years. Currently a Virtual Assistant working with entrepreneurs and small businesses, she also volunteers her time and her home fostering homeless dogs with a local rescue. Liz is currently serving as NER President. Chuck Arnold of Lowell, MA, first started ringing handbells while living in San José, California. 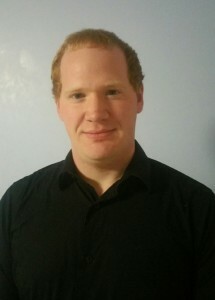 After moving to Massachusetts in 2010, he continued ringing with Aldersgate United Methodist Church of Chelmsford, and later with Merrimack Valley Ringers, a community handbell choir also based in Chelmsford. In addition to ringing with New England Ringers, Chuck currently rings with Hancock Carillon of Lexington. He has toured Tuscany three times with Campanae Mundi (Latin for “Bells of the World”), sightseeing and eating gelato by day, and by night bringing handbell music to new audiences in centuries-old churches. When not ringing, Chuck enjoys bicycling with his wife Lisa and exploring New England and beyond in his (very) small airplane, a Grumman Yankee. Amie Briggs lives in Uxbridge, MA with her Husband Larry and two step-children. She has been ringing handbells for 24 years, starting at the Village Congregational Church in Northbridge, MA in the 3rd grade. No matter where Amie ends up, she always finds a bell choir to ring with. Most recently she was in Billings, MT where she was the President of bellissimo! community choir. When Amie isn’t ringing bells, she is managing the restaurant she owns, The Hay-Wagon Restaurant, in Uxbridge, MA. 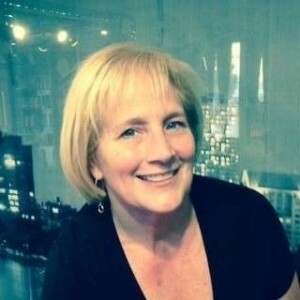 Gail Granum of Worcester, MA, was born and raised in Wisconsin and Illinois where she studied a variety of musical instruments in the public schools. Violin became her instrument of choice with private lessons and two full orchestras filling her musical schedule. Gail graduated from the University of Wisconsin, Madison, with a Master’s Degree. Gail has enjoyed ringing handbells for over 20 years. Formerly, she was a professional educator and successful business woman. Currently, she is a substitute ringer with several handbell choirs, and performs in smaller, seasonal handbell ensembles. Her passions include both child care and elder care, knitting, nature, hand crafts, tutoring, and event planning. 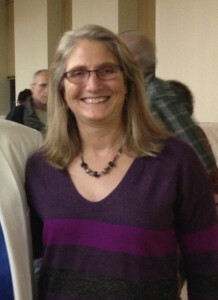 Gail is the Massachusetts State Chair for the Handbell Musicians of America. Beth Hansen is a transplant from the Midwest arriving in New England in 2012. She currently lives in Worcester, MA. 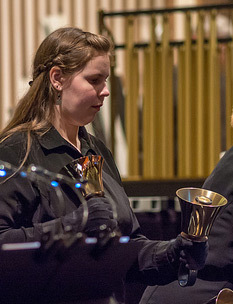 Beth started playing hand bells immediately upon her arrival in New England, starting with the Chapel Ensemble at UCC Medfield. She has also played with Copious Notes and is currently playing in one of two hand bell choirs at Shrewsbury Congregational Church. Her musical background includes many years of piano and trumpet. Through her trumpet playing she participated in marching and concert bands during her time at the University of Iowa, and played (trumpet) in the Rose Bowl. Beth works in downtown Boston as the Director of Finance for a company that focuses on the Alternative Investment Market space. When Beth isn’t ringing hand bells, worhandbells in 1999 at Tewksbury Congregational Church underking or commuting, she enjoys spending time with her two Labrador Retrievers, Bogy and Callie (named after Bogart and Bacall). 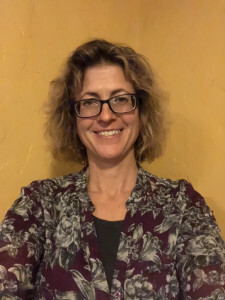 Rachel Henry joined NER in 2015. She played piano and oboe throughout high school and college in a variety of groups, including Wisconsin Youth Symphony Orchestra and the MIT Concert Band. She has sorely missed ensemble music, and is glad to have discovered handbells. 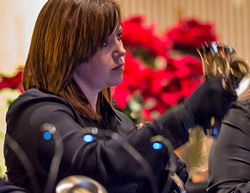 She credits the elementary-school chimes program in Tewksbury, the bell ensemble at Faith Lutheran, and serendipity for introducing her to handbells. Rachel and her three boys hail from Dracut, MA. 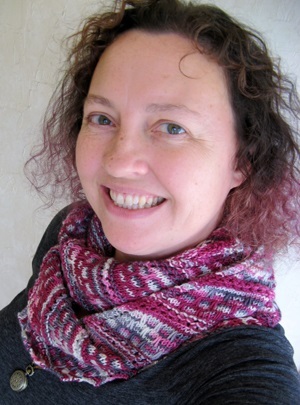 She teaches high school math at IACS in Tyngsboro, and she has published knitting patterns under Remily Knits. On the weekends, she competes in dog agility with Clewe, her Border Collie. Sarah LeBrun of Westford, MA, learned to play bells while in the womb. She started as an NER roadie while her mother, Debra, played with NER many years ago. She now joins us with 15 years of ringing experience. She credits former NER ringer Janet Anderson, her mother, and the Congregational Church of Littleton for her amazing skills. Alex Przybylowicz lives in Chelmsford, MA and has been ringing handbells since he was 8. 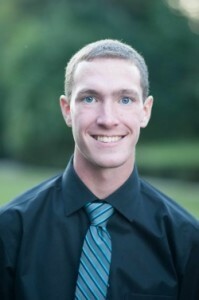 He is currently attending the University of Massachusetts Lowell for mechanical engineering. He has studied a variety of musical instruments including piano, trumpet, and guitar. When not going to school or playing handbells, Alex enjoys going to see live music, going on hikes, and participating in environmental conservation. Cathy Shires grew up in small town Iowa but has been in New England since the mid 80’s. Cathy currently lives in Waterbury Center, VT and can easily walk to the Ben & Jerry’s factory there. 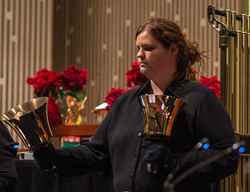 Cathy started ringing handbells with her church ensemble at UCC Medfield in the late 90’s. She played a couple years with Copious Notes and Northern Bronze. Her musical background includes piano, trumpet and choir. Cathy played trumpet in the University of Iowa Hawkeye Marching band and played in 4 bowl games during her years at the University of Iowa playing in the Tournament of Roses parade and the Rose Bowl her senior year. Cathy is an Actuary at National Life. In addition to ringing handbells, Cathy’s hobbies include hiking and knitting. Amanda Kosloski currently lives in Harwich, MA, and has been performing music in some capacity since the age of 8. She started ringing in her church choir at age 14, and hasn’t stopped ringing bells since. She holds a BM in Music Performance, with a concentration in Flute & Bassoon Performance, from Keene State College. 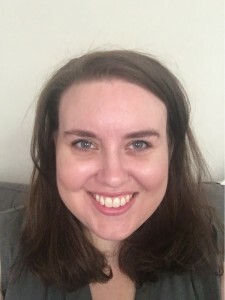 Currently a freelance musician, she performs occasionally with local theaters in pit orchestras, and is a high school theater facilities manager and assistant band director on Cape Cod. Lisa Thomas of New Haven, CT, was born and raised in West Virginia and moved to New England to go to graduate school. She is new to NER, but has been ringing handbells for 24 years after being introduced to them by her parents in school and church choirs. She rang with the Mid-Ohio Valley Ringers of Parkersburg, WV, for 5 years before leaving home for college. Since then, her only ringing fix has been at Distinctly Bronze East. She is very excited to be ringing regularly with an ensemble again. Lisa has a Master’s Degree in Neuroscience and currently works in the chemistry department business office at Yale University. 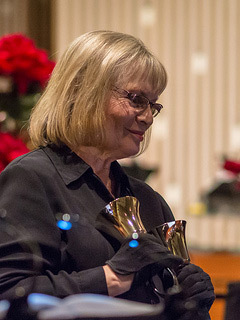 Susie Amos of Worcester, MA, began ringing handbells in 6th grade in 1980 at Plymouth Congregational Church in Lawrence, Kansas, and rang for seven years there. 20 years later she came back to ringing with the birth of her first child, joining the First Congregational Church of Shrewsbury. She is now a mother of three, and teaches in the adult education department of Quinsigamond Community College. Director Emeritus, Edward G. Henderson Jr. of Tewksbury MA, started ringing handbells in 1962 and has been directing youth and adult handbell choirs for the last thirty years. He has served Area 1 of the Handbell Musicians of America as Member at Large, Area Chair-Elect, Area Chair and Area Representative to the National Board of Directors. He has served local, area, and national handbell events as an organizer, a clinician and as both a massed and division conductor. For twenty years he was responsible for the handbell program at the Tewksbury Congregational Church, Tewksbury, MA. We celebrate Ed having been at the helm of NER since inception in 2000, and we are extremely grateful for his leadership of sixteen years. Ed’s excellent musicianship and deep knowledge of handbell repertoire and the capability of this unique instrument have consistently inspired us to produce music beyond what we had thought possible. 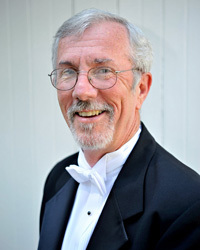 His dedication to NER went far beyond his role as Music Director – Ed participated in all manner of handbell choir activities, including meeting with potential concert site folks, setting up tables and bells, providing food for long rehearsal days, and even driving the trailer full of equipment to concert venues. We will miss Ed’s constant drive to make us better musicians, his sense of humor, and his love of all things handbells. We are happy for Ed that he will now have more time to spend with his wife, Sue, and his children and grandchildren. New England Ringers leads and promotes music excellence in the art of handbells through performance and education.